Kiss more often! Haha I mean seriously, who doesn’t appreciate a clean mouth to kiss?! 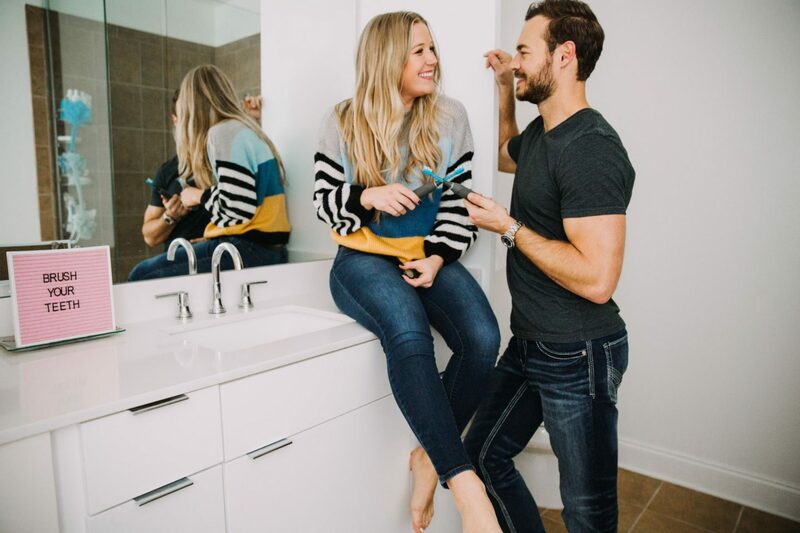 Both me and my husband tested out the new Smile Brilliant cariPRO Ultrasonic Electric Toothbrush, and let me tell you- wow! Coming from two people who not only use good tooth brushes, but y’all my husband is also a Dentist! 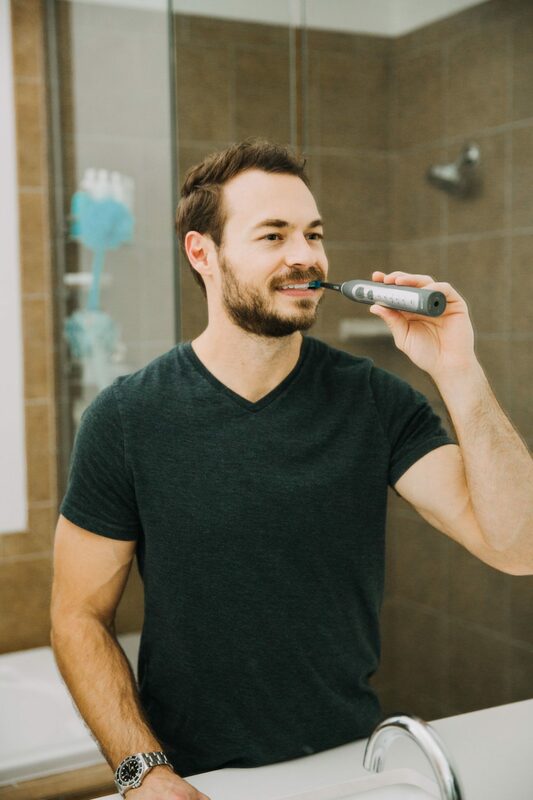 So yes, he knows what he’s looking for, and cariPRO Ultrasonic Electric Toothbrush passed the test! Here’s why. 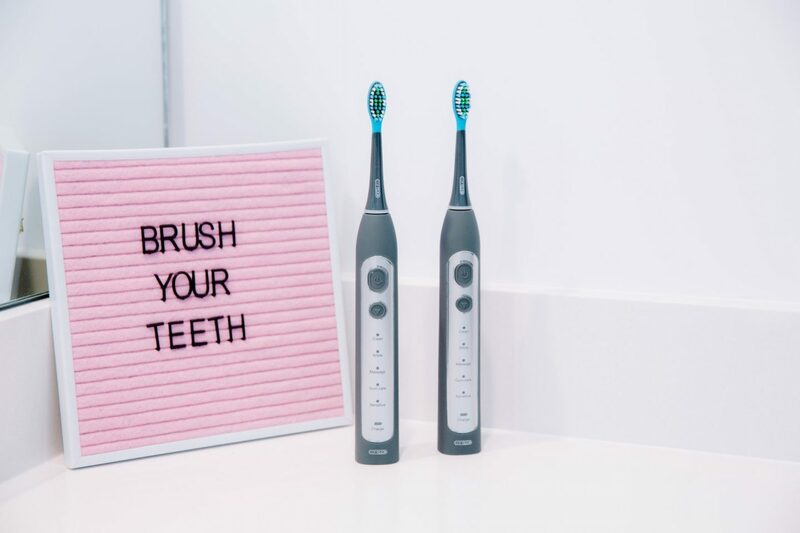 Over the years, we have used many different popular electric toothbrush brands, and we have to say, this one is our favorite. So, in the box, we received the cariPRO toothbrush handle, two cariPRO premium electric toothbrush heads, the cariPRO charging base, and the manual. All of the items are packaged so neatly and pre-photo, they were encased in a protective plastic wrapping. Clean- This is the standard mode for daily cleaning. It leaves my teeth feeling incredibly squeaky clean and it does not irritate my gums. White- This setting is the most powerful cleaning mode for removing surface stains because it polishes and vigorously deep cleans your teeth. Personally, I love using this setting because like everyone else, I want those pearly whites. I drink coffee every day so staying on top of coffee stains is important for me! I like to brush my teeth with this mode at night and then use the less aggressive “Sensitive” setting in the morning. Massage- This mode is gentle and is specifically made for you to use on your gums. At first, it was a bit ticklish, but after using it periodically, I’ve come to really like it. It feels especially good after you finish brushing your teeth. Gum Care- Now, this setting is also made just for your gums. Like the previous mode, this one feels like a really great massage for your gums. Between the two, I prefer to use this one after brushing my teeth at night and in the morning, just to keep my gums feeling healthy. Sensitive- If you have sensitive teeth or gums, this mode is the one for you! It’s gentle yet powerful enough to give your teeth a good clean. Now, you don’t have to shy away from electric toothbrushes because this one can accommodate your brushing needs. The other electric toothbrushes that I’ve used only had one setting, and usually, the intensity of it would make my gums bleed when I used it twice a day. However, with this toothbrush, I am able to give my teeth and gums the care they deserve and I can control the intensity of the clean without making my gums tender. Also, I’ve only been using this product for only about two weeks and I already see that my teeth have become a few shades whiter! Another nifty perk of this toothbrush that I wanted to share with you all is the tongue scraper on the back of the brush head. You can most certainly use the brush to cleanse your tongue, but for a more thorough clean, I also like to use the scraper. In just two minutes your teeth, gums, and tongue will be clean as a whistle! Heck yes! 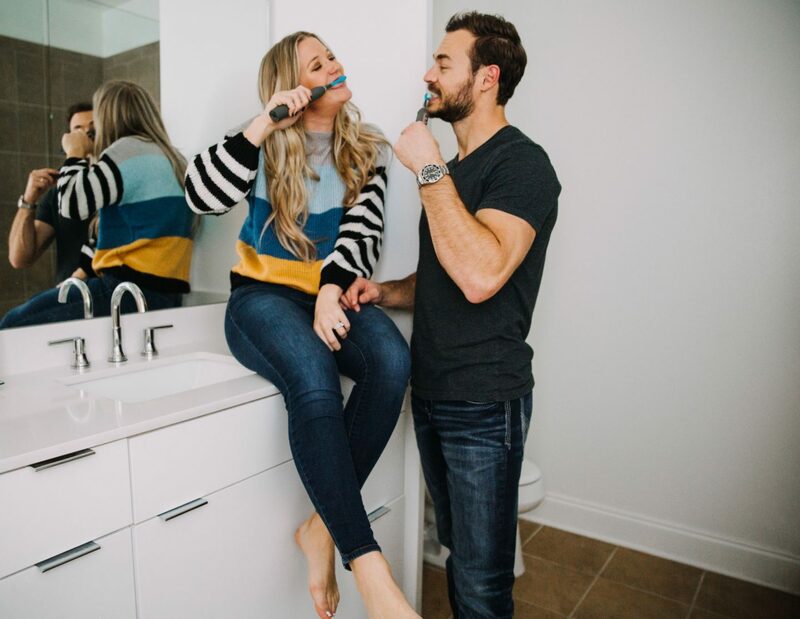 All in all, My husband and I love this cariPRO Ultrasonic Electric Toothbrush! I only promote items on my blog that I truly like and use myself, so trust me when I say that this product is amazing! 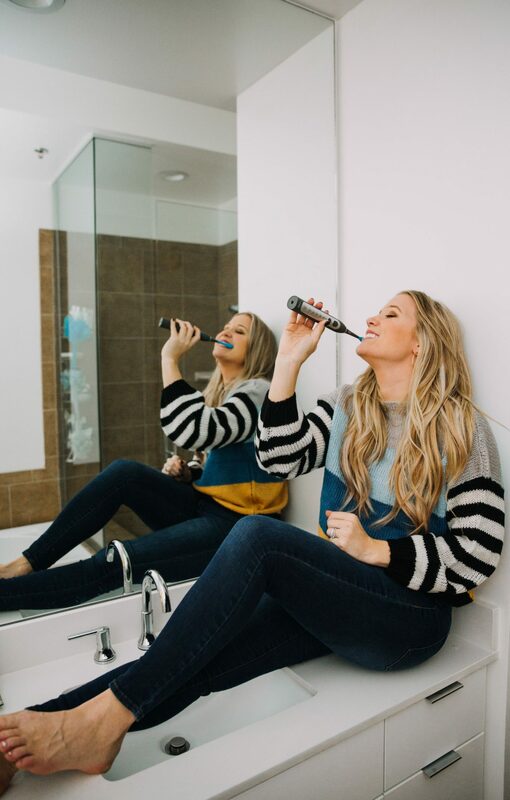 So, readers , if you would like to join me on this healthy smile journey and are interested in purchasing one of these toothbrushes for yourself, you can use my coupon code to receive 20% off your toothbrush purchase! But . . . before you do that, be sure to enter my GIVEAWAY to win your very own cariPRO Ultrasonic Electric Toothbrush! What are you waiting for? 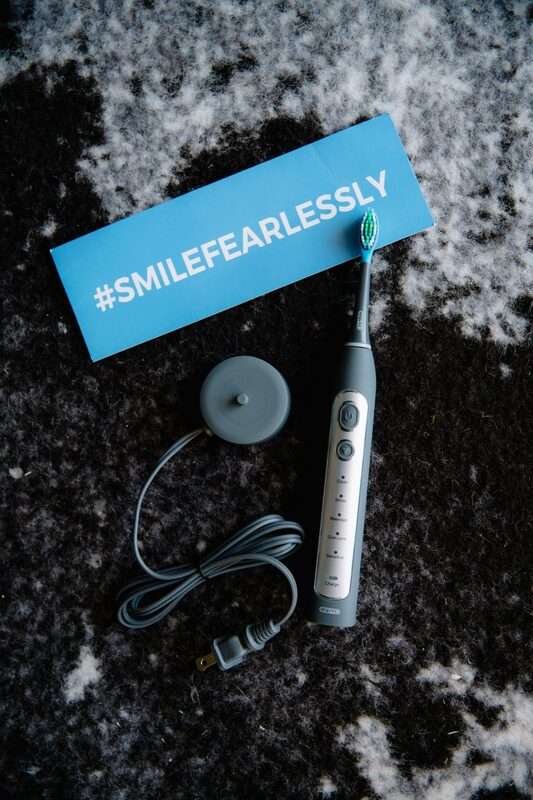 By entering today, you’re one step closer to brushing your way to a healthier smile! If you would like to learn more about this product you can visit Smile Brilliant‘s website or you can browse through their FAQ page. Before I end this post, I would like to say a huge thank you to Smile Brilliant for kindly sending me this wonderful product. I know I’ll be using it for years to come and I’ll owe my pearly whites all to you. I hope you enjoyed reading this post and thank you for stopping by!